St. Catherine’s Hospital was located in Seaside, California, not far from San Francisco, but its main attraction for dark-haired, blue-eyed Ava Kendall was that there she could continue to surf — a thrilling sport that she had learned to love when in Hawaii. 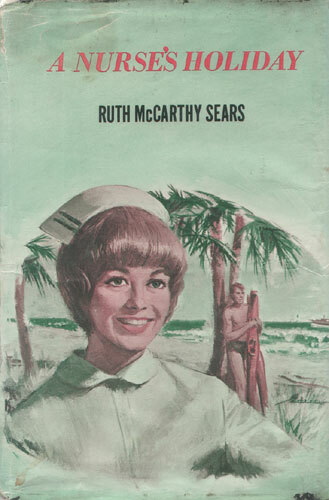 Ava, after one unhappy experience, was through with men and ready to settle down to the serious business of nursing — and the fascinating game of pitting her skill against the giant waves. But at St. Catherine’s, there was Blake Staunton, a surgeon with whom she worked almost every day. Almost too handsome, the aloof Dr. Staunton’s eyes held a brooding sadness that intrigued Ava. She knew that he bitterly opposed surfing. Then she learned that he had lost his wife in a boating accident — and her heart went out to the doctor and his small nine-year-old son, Tony. Tony, in childish fashion, had decided that his father was afraid of the water and had chosen another hero to admire: Gary Hayden, the handsome owner of a surf-side hotel and a fearless surfer. It was Gary who conceived the idea of a surfing act as a daring climax to the Water Carnival. No one could foresee the tragic aftermath of that ever-desired ninth wave.